Organizations are a new method of grouping your users into meaningful collections. Unlike previous groups, Organizations allow their different Branches to be nested inside one another. This, in turn, allows Axis LMS administrators to create a more accurate representation of their company’s users in the form of districts and sub-districts; position-based hierarchies; and skill-proficiency trees. In this example, the “New Jersey” Branch above is a part of the ”Store Locations” Organization, and has two locations beneath it. Axis LMS Managers, in addition to being a part of an Organization, can also be given different levels of access to interact with it. Provided the Manager has been given the proper administrative tools, their authority can extend into Organizations; starting at where they have been specifically placed in the Organization, and cascading downwards. Just like other managerial tools, they cannot edit anything above them. One of the major applications of Organizations is their integration with Report Administrators. Beginning with Axis v10.6, Report Admins can now create their own reports based off the resources a system administrator allocates to them, meaning that you don’t need to assign reports. Now, you can assign specific Branches of users (which cascades down to include every Branch below them), and whatever Courses the Report Admin may want to pull reports on. 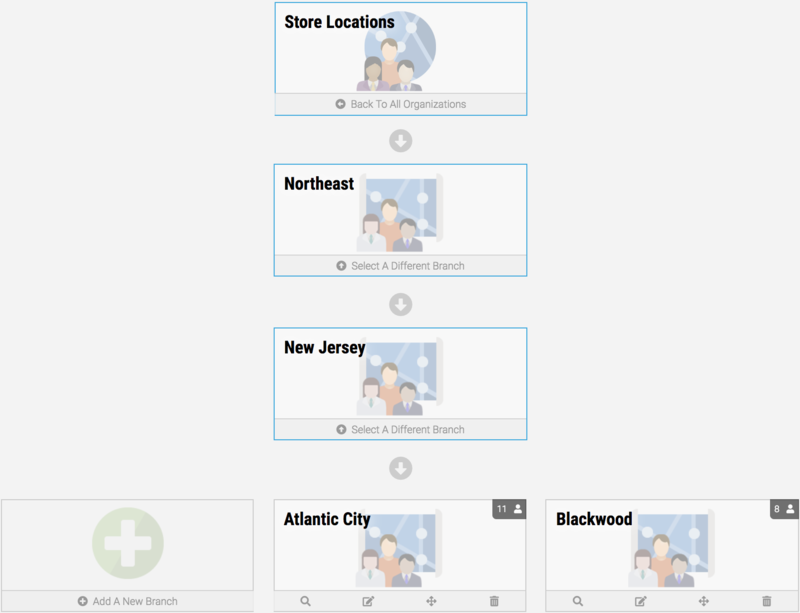 The Report Admin above can pull up reports on every user from the “Northeast” branch of the “Store Locations” Organization and downward, including New Jersey; Pennsylvania; New York; and Maryland. Those reports include all the Courses in the “Annual Training Courses” Course Group. Read more on how to get started with Organizations here. Find out more on new Report Admins here. This entry was posted on Tuesday, February 26th, 2019 at 10:34 am	and is filed under ELearning 101. Responses are currently closed, but you can trackback from your own site.